← A Wander around our Garden in April. 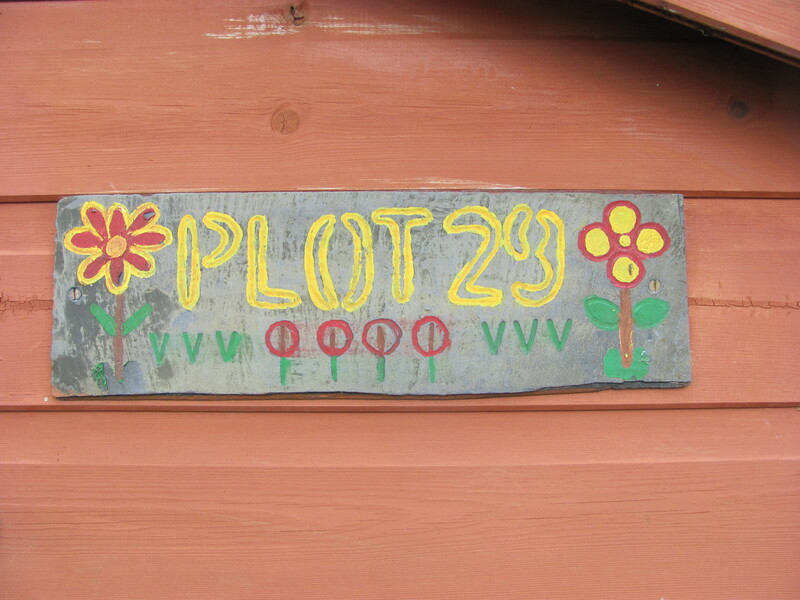 Since our allotment site opened three years ago, many allotmenteers have put plaques on their sheds and signs have appeared in all sorts of places. Words of wisdom and humour! Let’s take a wander and see what we can find. I fixed this quote to the side of one of our communal buildlings. it is very popular with visitors. Memories of "The Good Life". No weeds on this plot! 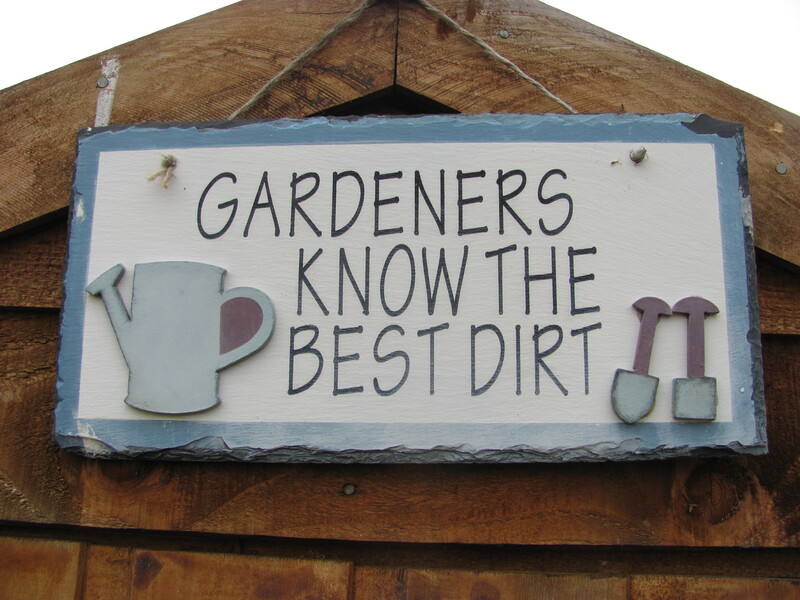 We can't argue with that! 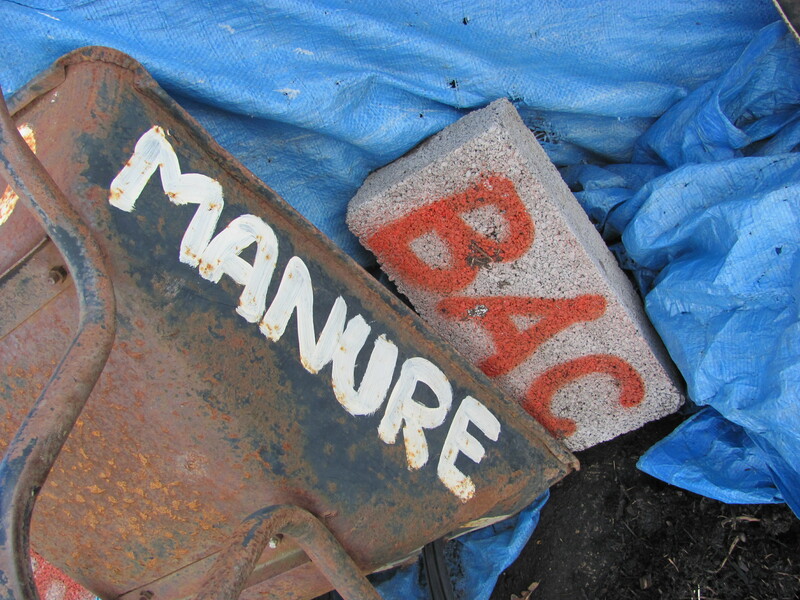 Even the site's manure wheelbarrow and a breeze block have signs. 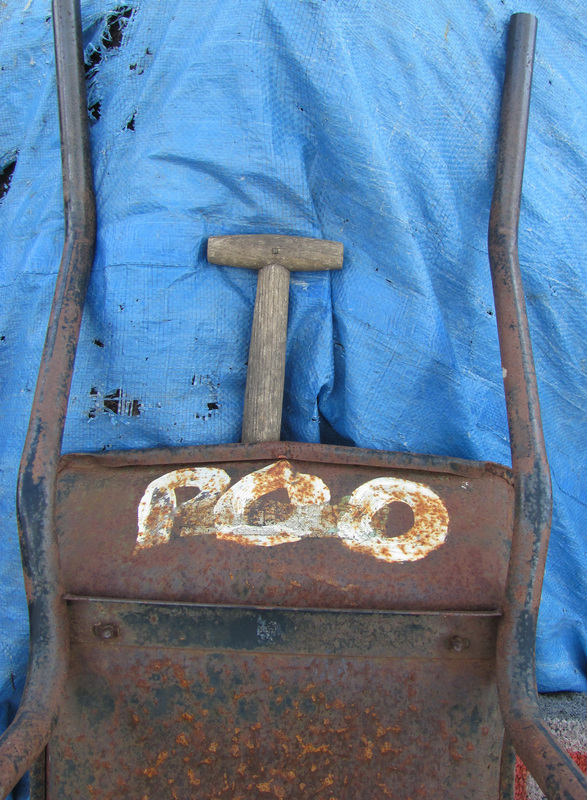 I wonder what goes in that barrow? 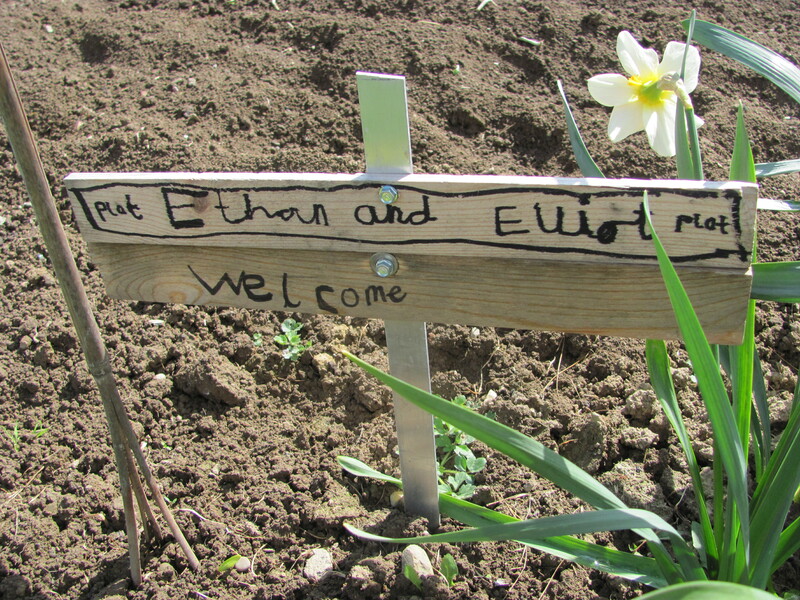 Two youngsters, Ethan and Elliot, seem to have forgotten their Mum, Mandy, when they made their sign. 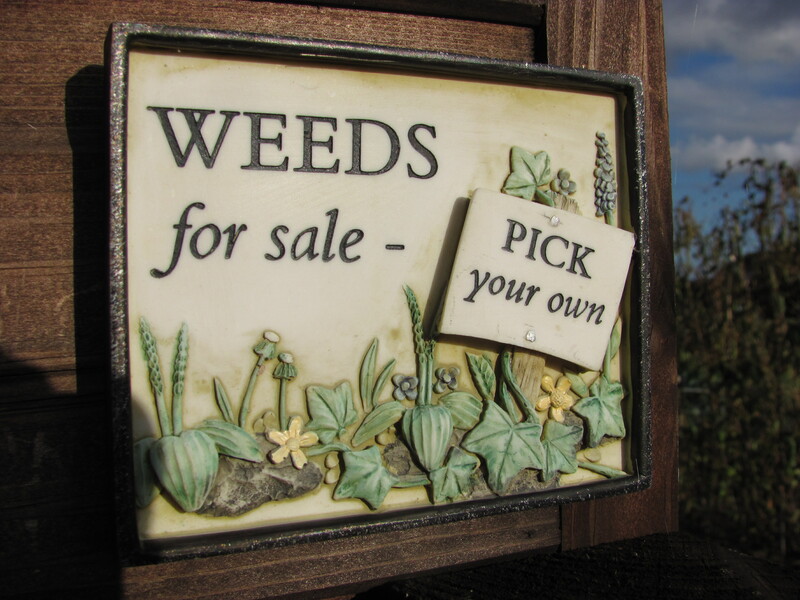 Mandy’s plant labels are so attractive and original. 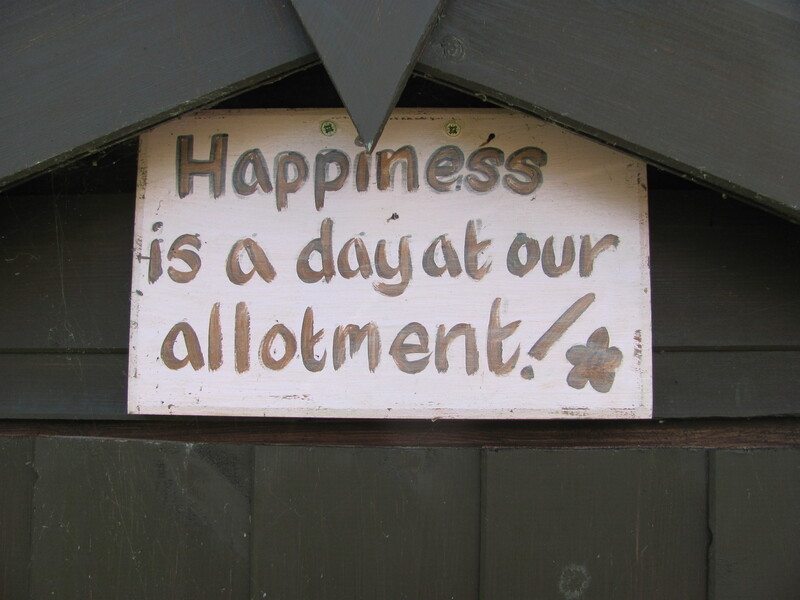 This entry was posted in allotments, community gardening, gardening, grow your own and tagged allotments, community gardening, fruit and vegetable growing, gardening, greenhouse gardening, grown your own, sheds, signs. Bookmark the permalink. Lovely post! 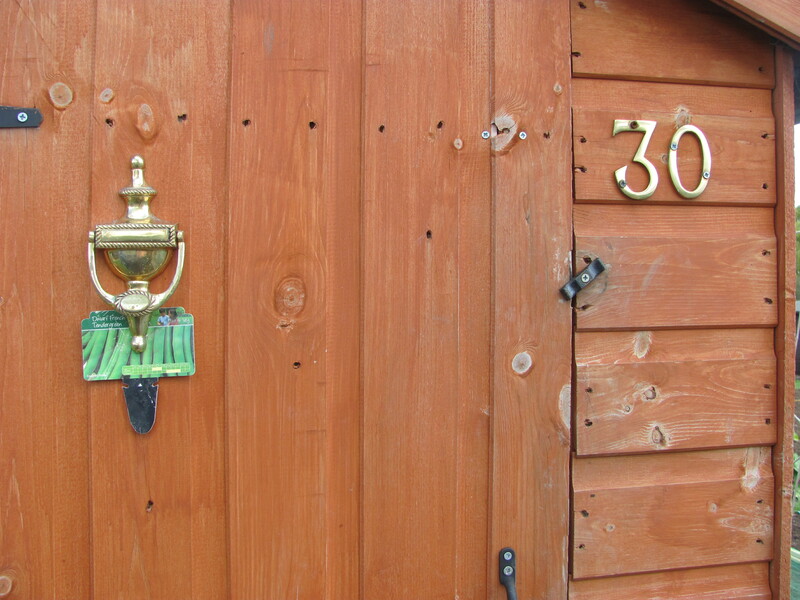 I’m very impressed with Fred’s door knocker, although I do wonder why he needs it! It simply goes with his sense of humour. Nice post. 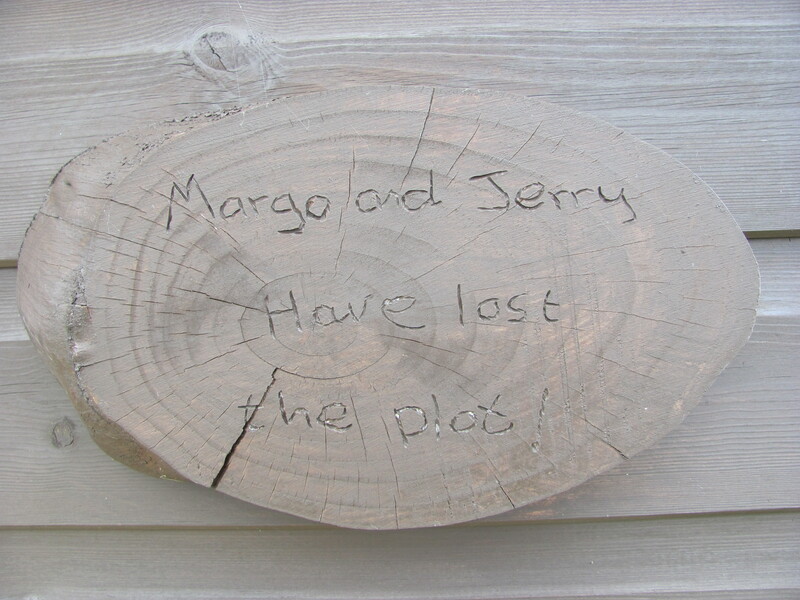 “The best manure is the farmer’s foot prints”! I like your manure quote. Our allotment field supported dairy cattle until 4 years ago, so very apt. Some great sayings there – particularly like yours. 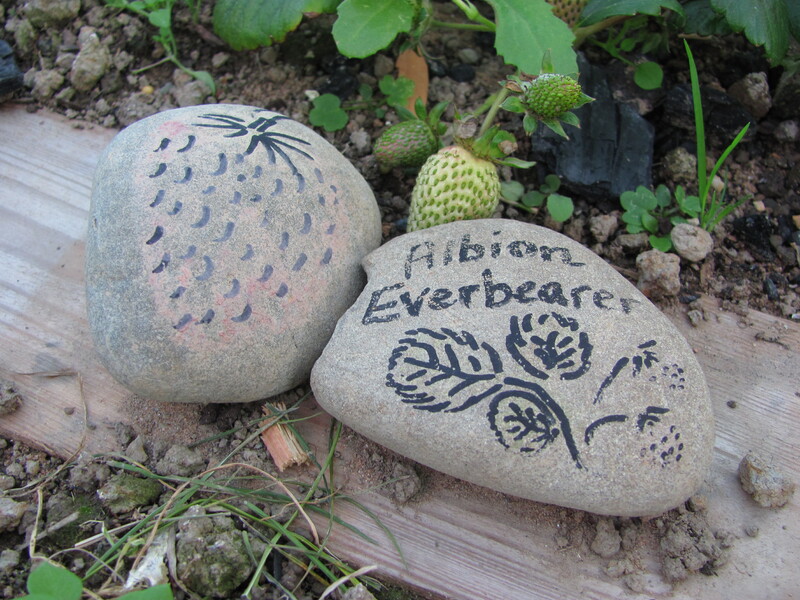 These are wonderful – what a great idea for a post! 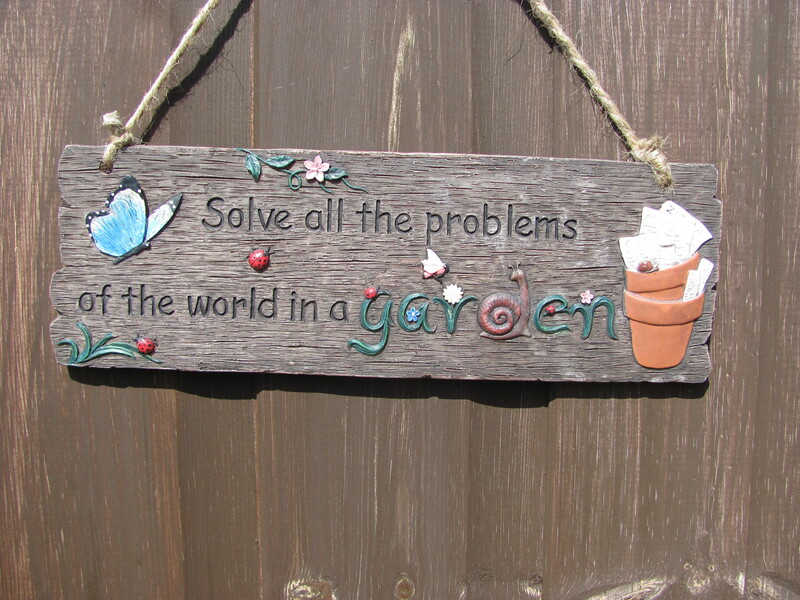 Thanks – there are some great ideas! I may copy! Thanks for such a great post. I love all the signs, but must admit I like yours best. I have a big barn – if I was younger I might climb up and paint that on it. 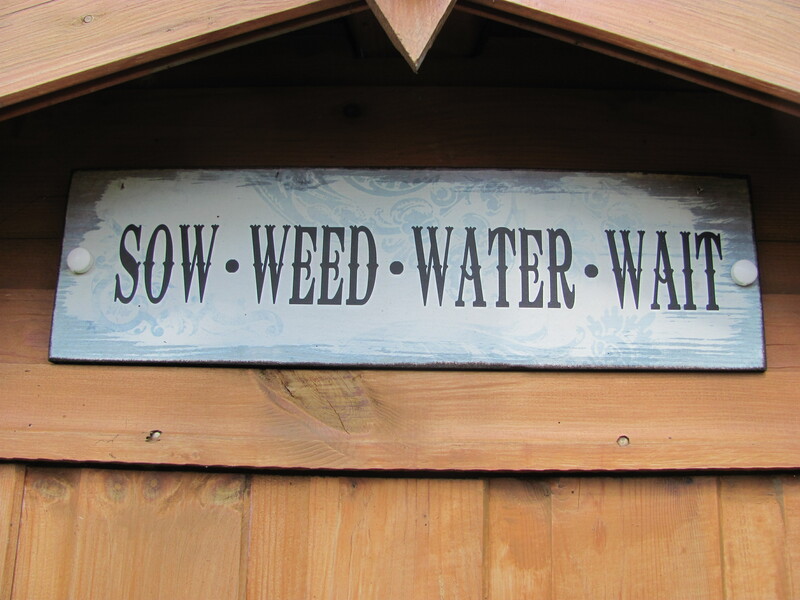 You could collect quotes and cover the whole side of your barn. It would look great.